FP Navigator - Allows Postbase users to set-up accounts,shortcuts & more! Easy to use interface to control your PostBase using a larger screen. Windows XP, 7 and Windows 8 (Can run on a tablet touch PC). Remote control of the PostBase Postage Meter. Change SMS text messages to be printed on letters. Account for every department postage spends in full detail. Export postage data into your preferred accounts package. Customise your PostBase Postage Meter home screen. Add shortcuts to your PostBase franking machine home screen. You can customise the display of the PostBase Postage Meter using Navigator Plus. Mailcredit is a small application which is downloaded to a Windows PC, it allows Ultimail Postage Meters to download Postage and Australia Post updates. 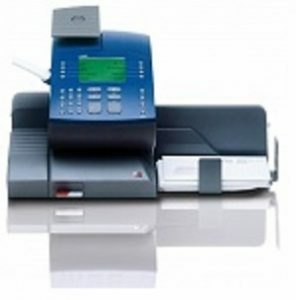 The Ultimail Postage Meter is simply connected to the PC via a specific USB cable, however, the application will only work once the Ultimail Meter has to be configurated.